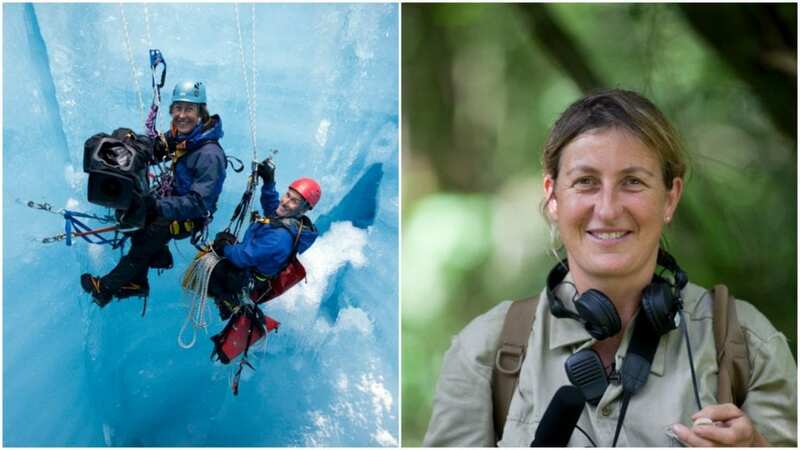 Justine Evans and Sophie Darlington are two of only a handful of women cinematographers in wildlife/nature documentary filmmaking, and Desiree “Des” Murray is one of only five fully licensed walking and water guides in Zimbabwe. These might be seen as exceptionally difficult fields for women to make a career in, but these three—along with their peers—take it all in stride. Based in Bristol, England—a wildlife documentary making hub—and working all over the world, Evans specializes in thermal/night camera work. She worked on David Attenborough’s newest BBC America series, Dynasties, (premiering January 19th) and captured one of the major plot points in the “Painted Wolves” episode, though, you’ll have to watch to find out what happens. No spoilers here! Darlington was the Director of Photography on the lion episode of Dynasties and will have her camerawork seen this year on both DisneyNature with Penguins and Netflix with Our Planet. In her early days, she apprenticed with Hugo van Lawick in The Serengeti, winner of nine Emmy’s and known for his seminal nature documentaries and for filming Jane Goodall while she did her groundbreaking research with chimpanzees in Tanzania. For Dynasties—and any wildlife documentary, for that matter—there were guides who acted as the filmmaker’s eyes, ears, and noses. 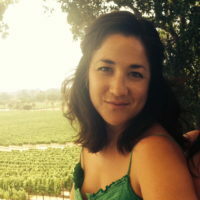 Desiree “Des” Murray was one of them and has proven herself time and again as a valuable resource to conservation and sustainable tourism efforts in Zimbabwe. Currently, she runs Bushlife Safaris with her husband, Nick Murray, and she is the only woman in Zimbabwe that is a working guide and the only one to have both a walking and canoe license, the hardest and highest achievement in wildlife tourism. Here, Unearth Women talks to these three intrepid women about their careers, what it’s like working in male-dominated industries, and why this work is so important to them. Unearth Women (UW): Des, what was your experience like in getting certified as a canoe and walking guide in Zimbabwe? Des Murray (DM): I was 19, and I did the canoe license first, which is the harder of the two. You need 1,000 hours, clocking up eight hours a day as an apprentice on the river for six to nine months. Then there’s the practical exam with National Parks and they take you down the river and test you on everything. In between all that, you have to get your learner guide license—five written exams on the laws of National Parks, animal habits and habitats, safety and ballistics and one about the country in general. In my first year, I was determined to get a good reputation. So, I worked for nine months solid with only two days off. I would travel from camp to camp—either by airplane or a boat— and meet the guests, do the safari, then jump back on the airplane or boat and do it all over again. This was all over National Parks in Zimbabwe. UW: How does your reputation play a role in becoming a guide? DM: If you’re not a good guide, no one’s going to hire you. It all comes down to who you are and how you behave, that gives you the reputation. It proved very male-dominated, and then there’s that whole thing where a woman has to try much harder to get half the way a man does. The one thing I figured out was that getting up earlier put me a step again and helped me the rest of the day. I was organized and early, and a few of the better guides actually wanted me on their trips because I didn’t sleep in, I got the job done quickly and efficiently. UW: Sophie, how does the wildlife filmmaking community compare to other parts of the entertainment industry when it comes to gender parity? Sophie Darlington (SD): I can best comment on the photography department and as a camerawoman, it’s great to see a few other really talented women coming up through the ranks. But there’s no parity, it just isn’t there…yet. Thankfully, it is a growing one with some great advocates. Just look at Rachel Morrison receiving an Oscar nomination last year as the first woman to do so. It doesn’t bear well that no woman has won or been nominated for the BAFTA for best cinematography and I’m one of the few women who has won a BAFTA Factual Photography [as part of BBC America’s The Hunt camera team in 2015]. There’s no reason whatsoever that women shouldn’t be equally represented throughout all areas of wildlife filmmaking, and mostly that’s the case, so many of our top talents are women. However just like other parts of the entertainment industry, camerawork just needs to catch up. UW: How did you first get involved in wildlife camerawork? SD: Having a career as a wildlife camerawoman certainly wasn’t something I grew up thinking, but when I was 19, I fled Dublin and began working in Tanzania. I came across a film crew, and realized, ‘I would love your job!’ Being sensible humans, they told me to go to college or get trained somehow. So, I spent the next few years figuring out how I could get involved. I managed to secure a job as a camp manager for [the wildlife cinematographer] Hugo van Lawick, who was famously married to Jane Goodall. Rather amazingly, Hugo took on apprentices. I made coffee, spotted for animals, did sound, took stills, put up camps, I ordered vegetables, but I also watched the camera people. When one of those chaps went off on holiday, I grabbed the opportunity. Hugo gave me a roll of film, I shot it, it went back to the UK to get developed and then it came back out on VHS tape. We all sat around the television to watch it, which was terrifying, and Hugo said that he thought I had an eye, he immediately sent me to an edit room to learn how to craft a story. UW: Justine, how was it that you got started in your career? 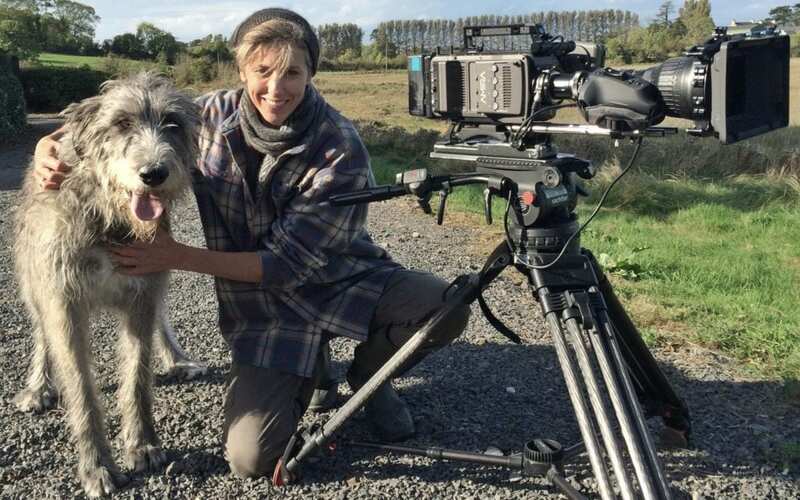 Justine Evans (JE): Apart from a spell of temporary jobs in my late teens and early twenties, I’ve made a career out of filming wildlife. I went to film school in 1990 with the aim of getting into wildlife filmmaking, though back then there wasn’t any specific training for that. I did a general, well-respected course at the Bournemouth Film School. They ran the school kind of like a production house to give students a taste of what it was like in the industry. The Royal Society for the Protection of Birds approached the film school about making a campaign film about lowland heathlands, which the school happened to be set amongst this habitat. I jumped at that opportunity, and when I graduated, the RSPB asked me to do another campaign for them, this time about the illegal bird trade, which I directed and shot. So, then I had a bit of a portfolio to take around to try and get an assistant job. I managed to get a position with a wildlife cameraman, Martin Dorn, and it opened a lot of doors. I assisted him on BBC productions and on indie companies. UW: You specialize in a particular kind of camerawork—thermal and night shooting— can you tell us about that? JE: I’ve had the chance over the years to do some iconic night sequences. One in particular with Planet Earth, with the lions predating elephants—it had never been seen before. The other one was with rhinos at a secret location in Namibia coming out at night and behaving in a way that hadn’t been captured previously. Both of those were on image intensifying cameras. The chap I’d got that assistant job with all those years ago, Martin Dorn, he developed various night cameras. He’s quite a wizard, really, a real innovator. He built one of the first starlight image-intensifying cameras and then using existing technology he put together a thermal camera. It was that thermal camera I used on Dynasties with the painted wolves. In February, I’m going to be the first person to take a high-resolution thermal imaging camera high into the tropical forest canopy of Borneo to see what is living up there. There are so many nocturnal animals moving around up in the canopy and having worked in Borneo’s forest a number of times before, I have always wondered what is going on after we switch off the day cameras and go to bed. So now is my chance to find out! UW: Just by default of you shooting at night, it puts you in such a special position. You’re getting to capture behavior in animals that have never been seen on camera! JE: This is the thing about filming nights–it’s really hard! We’re not designed to stay up, we’re not nocturnal mammals at all. But the reward for doing it is that you do see things that haven’t been documented before. Up until recently, there hasn’t been the technology to do it very well. In the past you had to use lights or infrared cameras, which you’d still need a bunch of infrared light to make work well. The thermal cameras have opened up the field for observing the behavior of animals. It’s a gift. UW: Sophie, what have been some of the best and worst moments of your career so far? SD: Honestly, every single shoot I do, I come back with the worst and the best experience. I think there has been very few shoots that I’ve come back and thought, ‘Oh well that was dull.’ There have been shoots when you go out to film stuff and the behavior doesn’t happen, but that’s about the hardest thing that can happen. Any physical discomfort, which comes as a norm with this job, pales in comparison with going out there and coming back without a sequence because the behavior hasn’t happened. Sadly, because of climate change, that’s happening more often; these amazing behaviors which we used to be able to predict with a certain amount of accuracy—whether it’s migration or a certain period of mating—is just not happening as consistently as it was. That’s the hardest thing I think, failing not because you failed, but because we’re failing the planet. UW: How does conservation play a role in your career? SD: We make the films because we really care about the environment and our way of hoping that others will care about it is by engaging them through our films. Like with Dynasties, I really hope that people come away caring about the lion, Charm. We spent so much of her life filming her, it would be a shame to think that would have been for nothing and when I couldn’t film because I chose to be at home with my small son, I worked for 21st Century Tiger, a tiger conservation organization at The Zoological Society of London. I also worked for the Frankfurt Zoological Society. I said that when I couldn’t film, I would help in other ways. So, it’s a massive part of what we all do. We certainly don’t do it for the money, or for the glory. There’s very little of either of those. We’re in it because we give a damn. UW: Des, Bushlife Safaris participates in some pretty important conservation efforts. Can you tell me about anti-poaching? 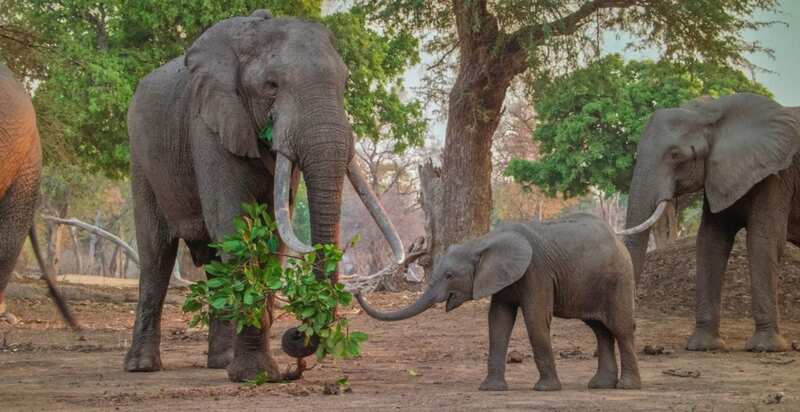 DM: There was a big influx of poachers just over a decade ago throughout Zimbabwe and about five years ago, National Parks put out a call to all the safaris and guides asking for help. My husband and business partner, Nick and I stepped up. Nick’s been the main part of anti-poaching for Mana Pools since then, and it’s all donation based. He has six vehicles, he feeds the rangers, drives them, gives them fuel, tents, mobile camps. He’s been part of 1,000 convictions so far and has raised over half a million dollars in the last five years. UW: You and your husband have raised two children between Bushlife and Harare. How much do you encourage them to learn about wildlife? DM: They’ve been going to the bush since they were a couple of months old, each and they love it out there because they have grown up with it, they have a space in it. They help with collecting firewood and they’ve got jobs that they do, so it’s not just sitting there, looking in from the outside, they’re actually a part of the mechanics of it all. We mostly encourage them that this is so unique and so special and if they don’t look after it, they won’t have it for their children. That’s probably one of our biggest messages to them because it is one of the last wilderness frontiers. We tell them that they’re seeing it in a time which is not going to be here for very long if they don’t look after it. Dynasties premieres Saturday, January 19 at 9/8c as an AMC Networks simulcast event across BBC AMERICA, AMC, IFC, and SundanceTV.